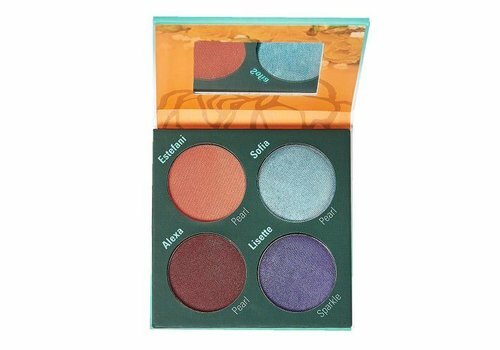 Buy Sola Look online at Boozyshop, the makeup webshop! Those good old memories, they are back! And how! All those well-known television series and films from the 80s, who does not remember this anymore! Saved by the Bell, Grease, Dirty Dancing, Beverly Hills 90210, and many more, they have all been given a new look. 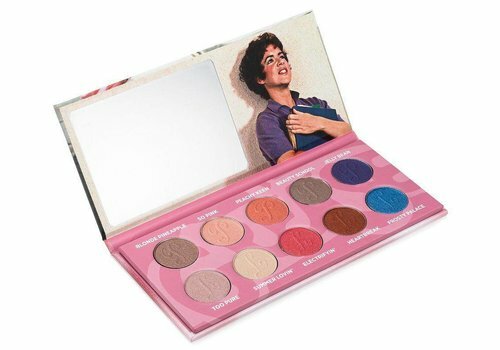 Sola Look has translated all these classics into the beauty world and transformed these memories into beautiful eyeshadow palettes and dazzlingly beautiful liquid lipsticks. Since 2006 the founders of Sola Look are already best friends. They had a small company together called 'SoLatina'. They provided information to single Latina mothers. These single mothers had the opportunity to ask questions to professionals, the most popular professional was of course the make up artist. They asked so many questions that she couldn't answer them all. Many single mothers indicated that there was no makeup brand on the market that appealed to them. David and Yvette made their decision: 'We are going to fill this gap in the market'. From that day Sola Look was born. It took a while before they decided to put the brand Sola Look on the market together. David and Yvette are, despite being best friends, totally different from each other. Both their own experiences and each his own lifestyle. Yet it both triggered to market a mega cool make up brand. They unleashed their creativity and in 2013 the brand Sola Look was put onto the market. This brand has become so cool, we are totally in love! That David and Yvette have fun in their work is clear, because this make up brand is crazy! They would like to share their passion for make up, their crazy lives and fun with everyone and they certainly succeeded! Put all those funny elements together, just shake them well and you will get Sola Look. Nice! Buy Sola Look? Order quickly at Boozyshop! Are you a big fan of tight pants and the well-known half-length skirts too? And do you have such a desire to put on your pink jacket and don't give a damn about school? Yeah babe, just like the pink ladies at Rydell High! Or do you remember the following? Baby who helped to carry a watermelon and from that moment on she decided to follow her heart? And that well-known phrase 'Nobody puts Baby in the corner'. From now on you can buy all these make up classics here at Boozyshop! Do you order for more than € 30? You are so lucky, because you get a free gift with your order. Reasons enough why you should buy at Boozyshop, right?! Shopping cosmetics is so much fun!